Editor’s Note: Several names were misspelled and corrections have been made. We regret the error. 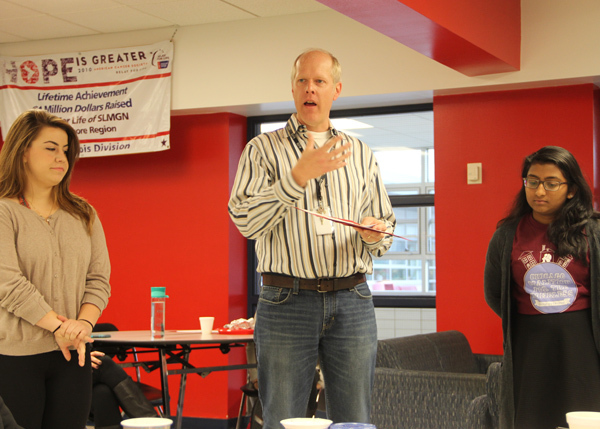 Niles West’s annual You Make a Difference Breakfast was held Wednesday, October 21, at 7:30 a.m. The event took place in the student commons. Students who were nominated had breakfast with principal, Dr. Jason Ness, teachers, and other staff members. The nominees were recognized for their hard work and dedication in various fields. “Students are nominated by teachers and staff for the reason being they make a difference in either academics, sports, and community. They gave it their 110%,” executive secretary, Judy Wheatman said. Students discovered if they were nominated in homeroom and received their invitation to the breakfast. “I was honored and thrilled when I discovered I was nominated for this. It’s really nice to know that your hard work is being recognized and matters,” junior Haley Aichholzer said. Disappointed that many of the students, that are making a difference at this school, have their names spelled incorrectly in this article. The least the NWN can do is double check that the student’s names are spelled correctly. We apologize for the mistake. Corrections have been made.